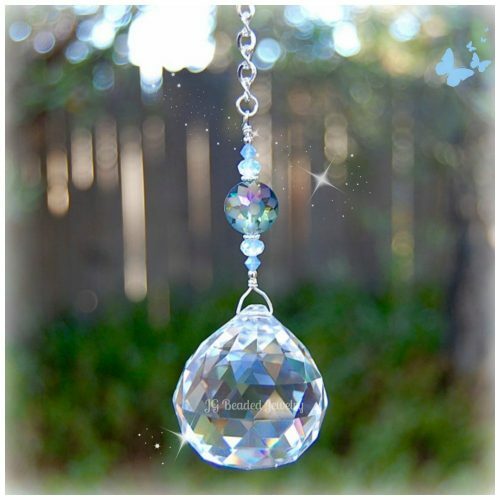 This purple opal crystal suncatcher is uniquely designed with a 40mm prism crystal that will splash beautiful rainbows in your home when in direct sunlight! 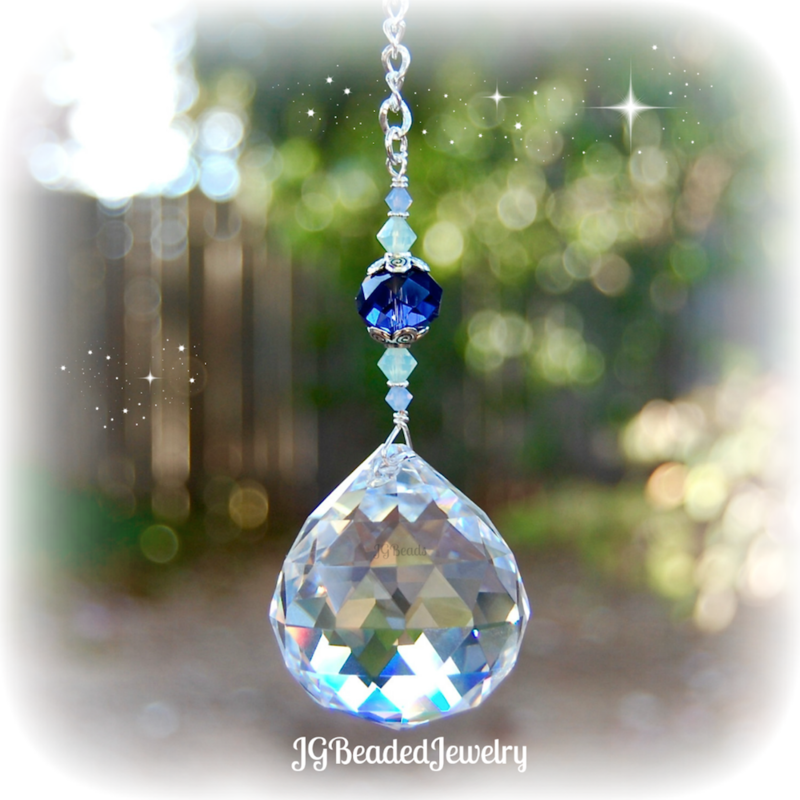 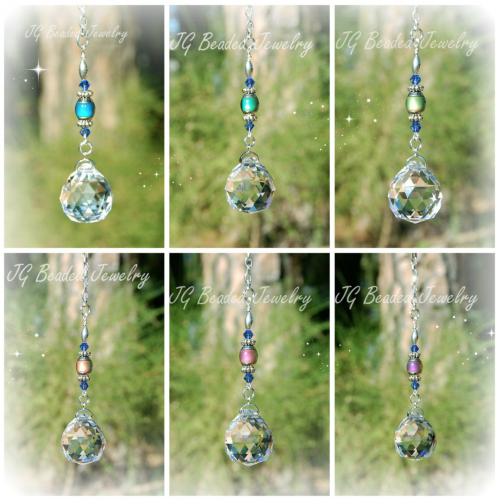 The crystal suncatcher is handcrafted with care, attention to detail and made for strength. 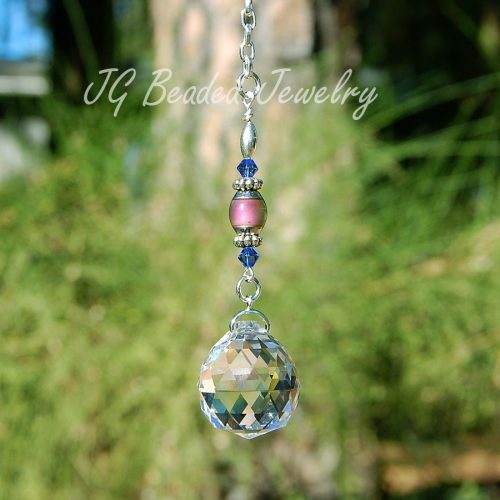 It is wire wrapped with beautiful opal blue and opal green Swarovski crystals, a purple faceted crystal bead and fancy silver metal beads! 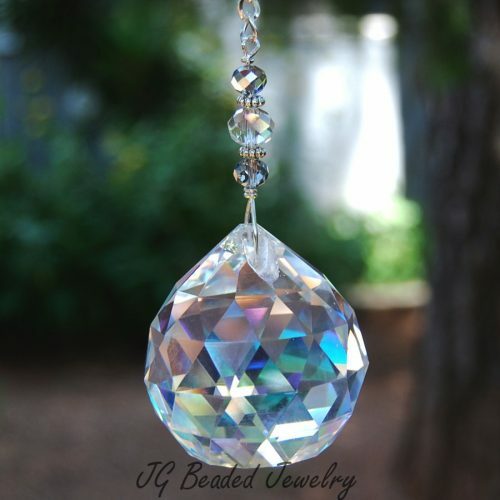 The crystal decoration hangs from silver chain with a half inch sturdy silver ring at the top for ease of hanging! 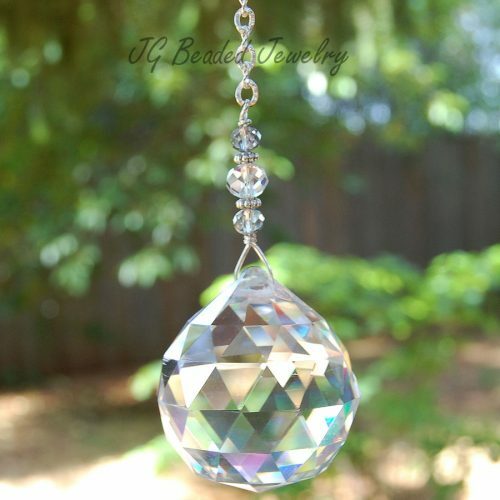 The length of this prism crystal suncatcher is approximately 9 inches. 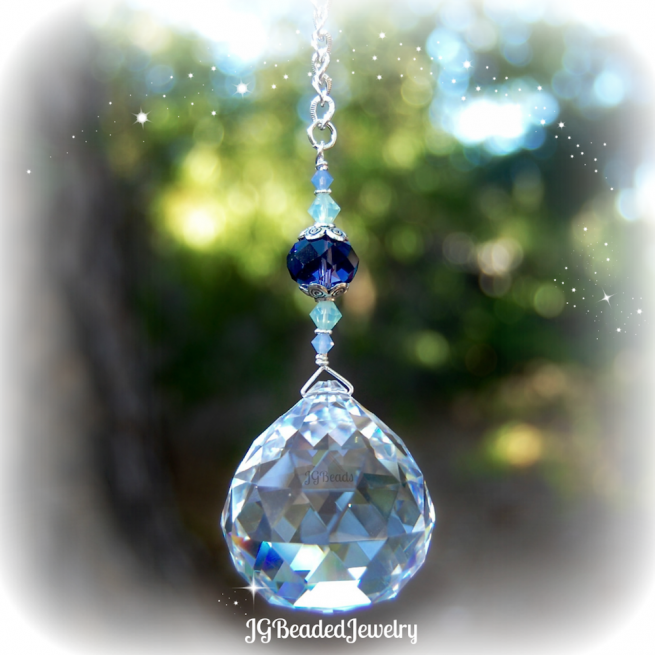 ♥ This crystal is NOT intended for the rearview mirror, however I would be happy to customize this design with a smaller prism by request! 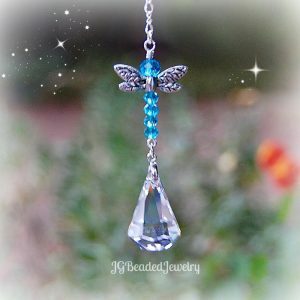 Offering unique and handcrafted crystal suncatchers and crystal rearview car charms! 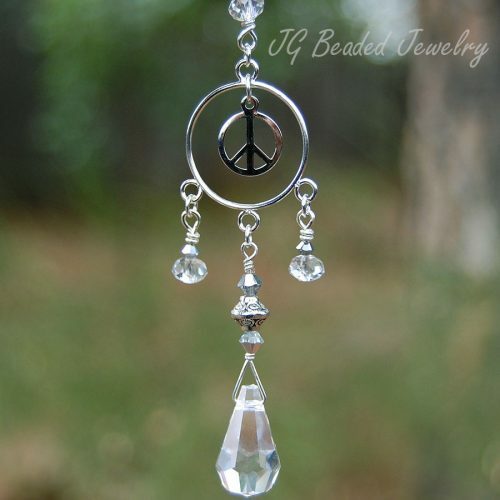 ♥ Check out JG Beaded Jewelry on Facebook for new items, special offers and giveaways!